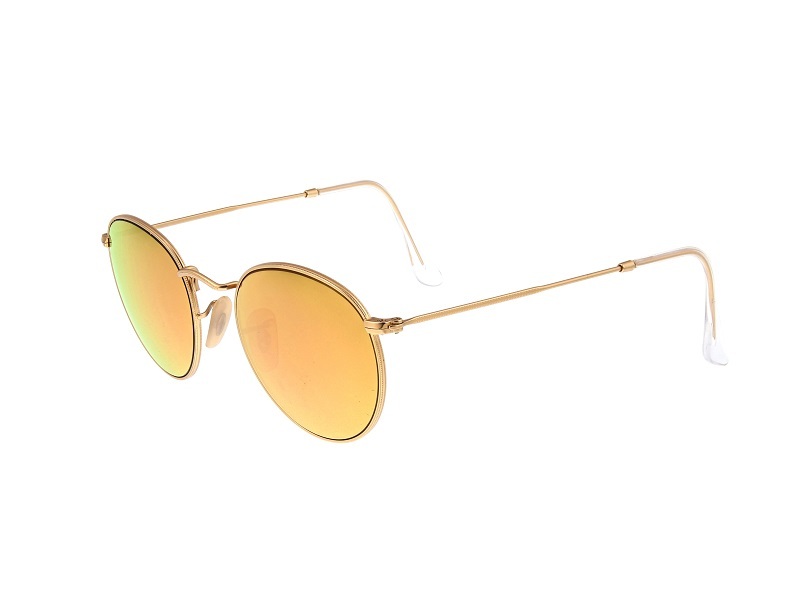 How to photograph eyewear for online stores? This case study — the first in our new series — gives you all the essentials to produce high-fidelity photographs of eyewear for your online store. It’s based on the expertise of several product photographers, graphic designers and marketing executives. Discover our product photography tutorial. Unwrap your items and organize them by category, by model / design, and by type (e.g. prescription eyewear vs. sunglasses). Select relevant names for each category. 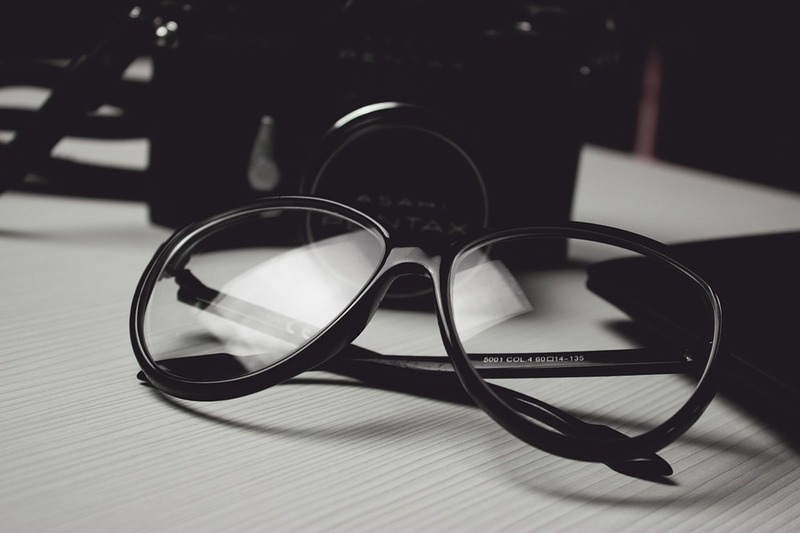 In the case of prescription eyewear, the main issue is handling different materials and different types of glass and frames. Good preparation helps you achieve optimum efficiency when shooting a large number of items. For instance, you can start by photographing the simpler models, then finish with the more unique designs that may require different settings. Don’t forget to remove any dust, fingerprints and smudges on the eyewear before you start shooting. Lighting and digital device settings are essential and should complement one another. To make items stand out, the white background should be as neutral and as luminous as possible without washing out the color or texture of the item. The quality of the final results depends on finding the right balance between these factors. Don’t be afraid to play around with the three main parameters on your digital camera: aperture, speed and ISO. You can then experiment with lights aimed in different directions until you obtain the desired exposure and mirror effects. You can also try using light reflectors for more precise results. A dedicated professional Packshot photo studio can help you set up the lighting for your eyewear product shoots. The software that comes with the “photo shoot box” makes easier to use your camera. 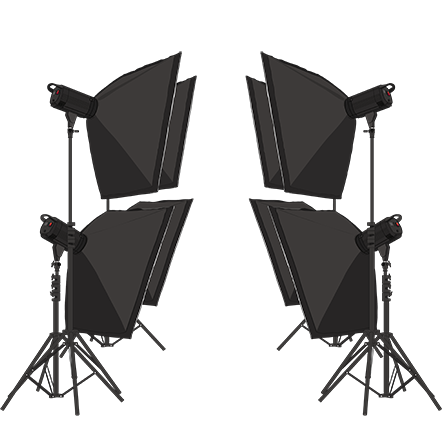 The studio box provides excellent lighting as well as shielding your items from reflective light sources in the environment. You’ll be able to record your best light settings and partially or fully automate the process of setting up lighting and photo shoots. You’ll save a huge amount of time on set up and production. Tip: To avoid interference, don’t forget to switch off ambient lights. 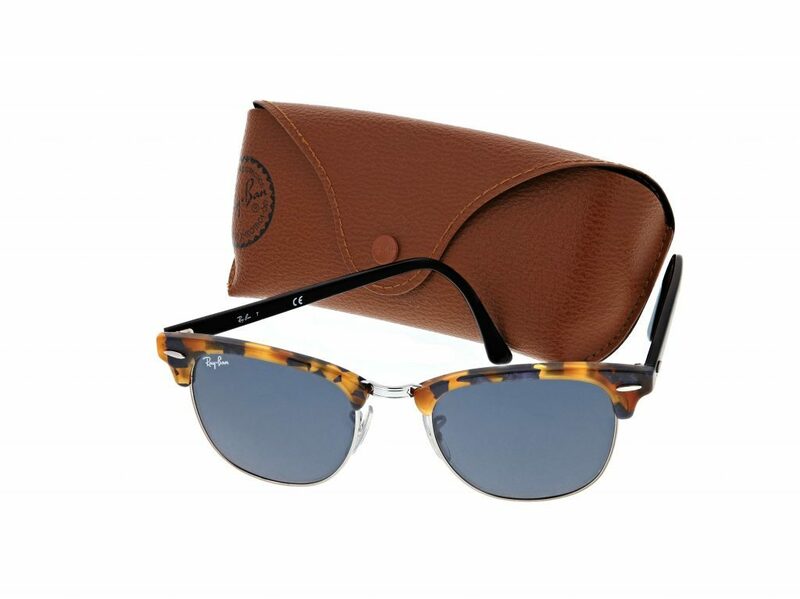 For product descriptions: you’ll have to make a clear decision about how to position the eyewear. Every detail counts. The more information you provide about the product, the more comfortable your clients will feel making a purchase. On the image below, you can see the three principal angles to use when setting up a shot: front view, side view, and three quarters view. Another factor to take into account is how you position the tripod supporting the camera. The tripod lets you be very precise in how you frame your images as well as adjusting the height and distance of your shots. You need to give all your products the same opportunity to impress the customer. 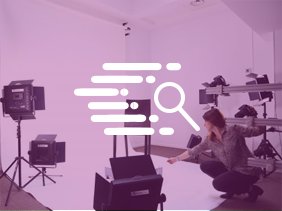 If your software has a positioning memory tool, make sure you use it to help you position every item at the same viewing angle during your photo shoots. Alternatively, you can set up cues (floor markings) to help you position the tripod and the items to be photographed. How to photograph eyewear‘s frames? Eyewear designs are sometimes available in dozens of colorways and frame variants. It’s crucial to showcase the different options for each of your designs. When each model is positioned in exactly the same way, your store has a more balanced look and a stronger overall appearance. Strict visual quality guidelines are essential for any online store. When displaying accessories, still life compositions are a great way to show the look as a whole (image below). 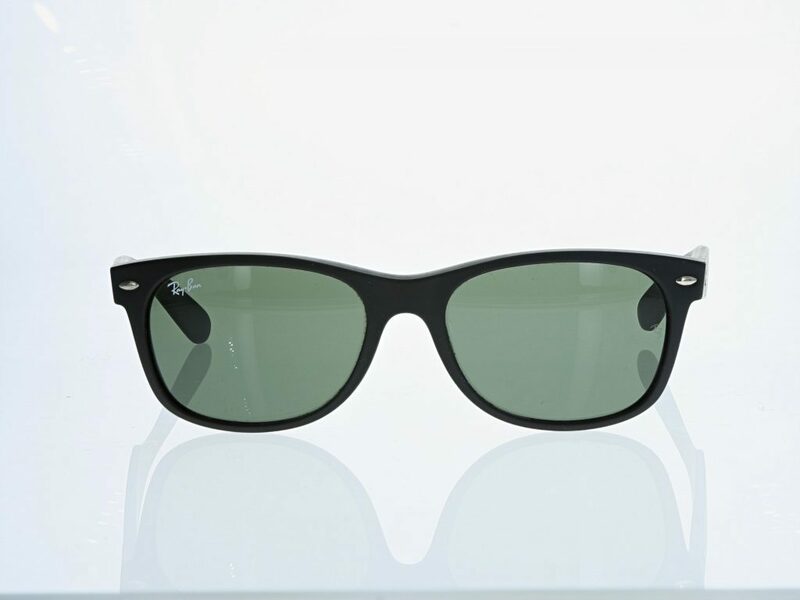 How to photograph eyewear‘s reflective surface? Reflective surfaces: as you’re aware, some frames have metallic or silver-tone components. These elements are highly reflective and will be noticeably affected by their environment. It’s advisable to use a light reflector to give certain parts of the item more or less shine and get rid of unwanted reflections. If you have access to an enclosed photo studio, this will rarely be a problem. As you can see on the images below, there’s a black mirror image on one of the silver oval elements and reflections appear on the lenses. 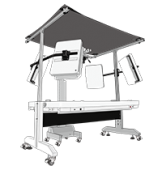 Customers may perceive these reflections as manufacturing defects or as actual characteristics of the design. Both of these are a problem, which is why it’s important to present the product in an environment that’s as neutral as possible. For highly reflective lenses such as mirror lenses, a Packshot professional system is practically essential and will save you valuable time. Otherwise, it’s best to go for a 3/4 view and use several light reflectors, which may lead to good or bad results (your mileage may vary). See example images. This problem is not all that common and may seem challenging to the beginner, but it’s actually not that hard to get good results. You need to adjust your lighting so that the clear material stands out from the background. Don’t be afraid to try lowering the intensity of your lighting. Subsequently, all you need to do is adjust the brightness in post-production with the “Level” tool. This tool is available in any image editing software, as well as in all Packshot professional photo software. With a little practice, you’ll get results similar to the images below. 360° photos and videos of your eyewear? To improve the customer experience, you can also take it to the next level with animations and 360° videos! Display your glasses with interactive viewing features. Visitors can rotate an image of a pair of frames or zoom in without losing definition. Videos let you show a pair of glasses in 360°, or display them on a model in situ. When you create product still photographs, a number of problems with your camera settings can cause blurring. Blur can also be caused by a stabilizing issue or inaccurate adjustments. How do you solve the problem, and which macrophotography techniques can you use to obtain perfectly sharp results with flawless acutance?